Anyone that ever had to train a machine learning model had to go through some parameter sweeping (a.k.a. 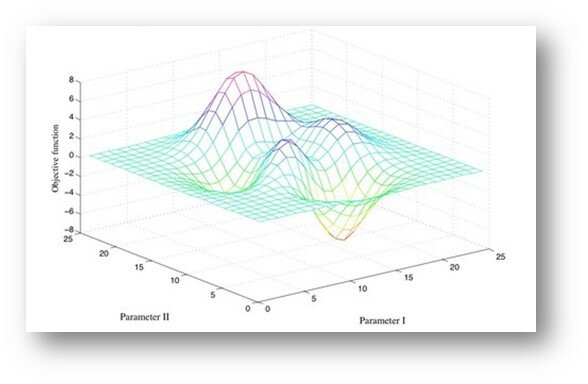 hyper-parameter optimization) to find a sweet spot for algorithm parameters. For random forests the parameters in need of optimization could be the number of trees in the model and the number of features considered at each split, for a neural network, there is the learning rate, the number of hidden layers, the number of hidden units in each layer, and several other parameters. 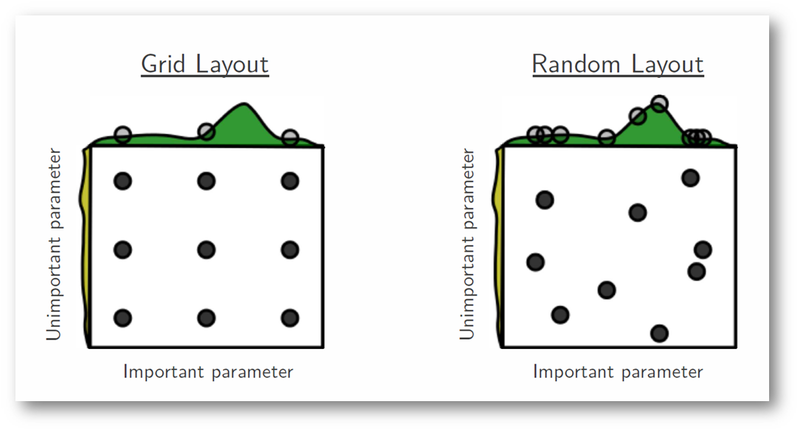 The most common method at selecting algorithm parameters is by far the ubiquitous grid-search. In fact, the word “parameter sweep” actually refers to performing a grid search but has also become synonymous with performing parameter optimization. Grid-search is performed by simply picking a list of values for each parameter, and trying out all possible combinations of these values. This might look methodical and exhaustive. But in truth even a random search of the parameter space can be MUCH more effective than a grid search! This amazing paper by Bergstra et al. claims that a random search of the parameter space is guaranteed to be more effective than grid search (and quite competitive in comparison with more sophisticated techniques). More elaborate ways of optimizing algorithm hyper-parameters exist, in fact whole start-ups have been built around the idea (one of them recently acquired by twitter). A couple of libraries and several research papers tackle the problem, but for me, random sweeps are good enough for now. Relevance engineer. Machine Learning practitioner and hobbyist. Former entrepreneur.